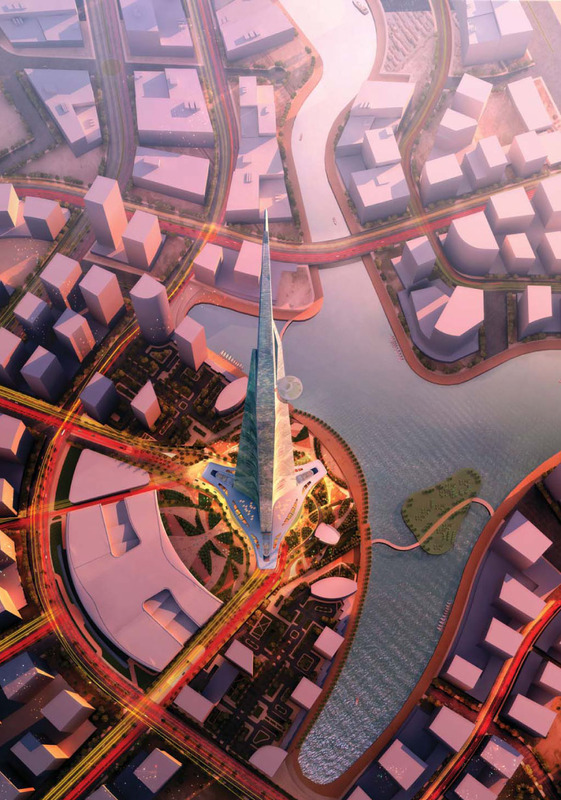 Chicago-based firm Adrian Smith + Gordon Gill (AS+GG) has officially been announced as the design architects for the Kingdom Tower that is to be built in Jeddah, Saudi Arabia. 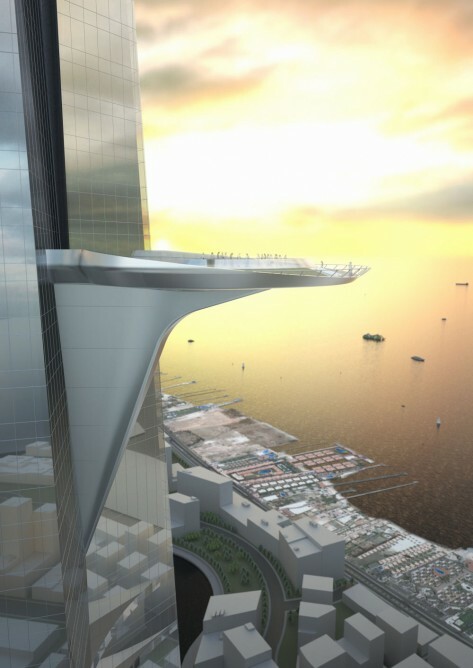 Initially planned to stand one mile (1.6 km) high and be called the Mile-High Tower, the building was scaled down after soil testing in the area in 2008 cast doubt over whether the location could support a building of that height. 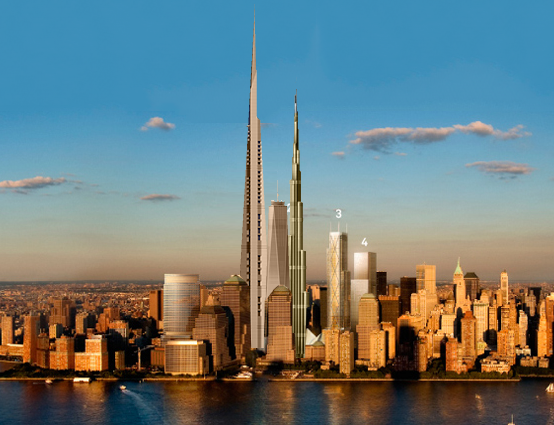 Now the building will stand over 0.62 miles (one kilometer) tall, which will still allow it to overshadow the 2,717 ft. (828 m) Burj Khalifa to claim the title of the world's tallest building. 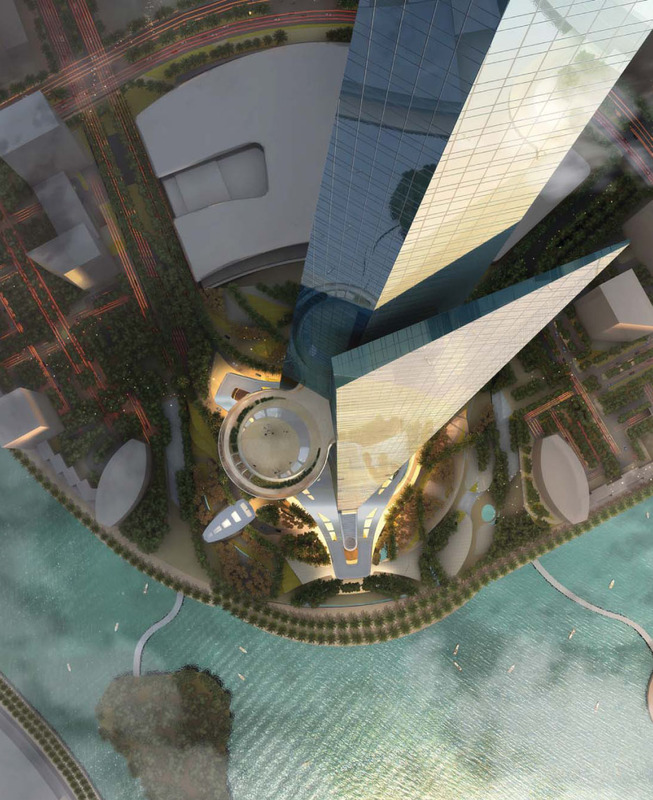 The Kingdom Tower will be the centerpiece and first construction phase of Kingdom City, a 57 million square foot (5.3 million m2) development located along the Red Sea north of Jeddah, which is known as the traditional gateway to the holy city of Mecca. 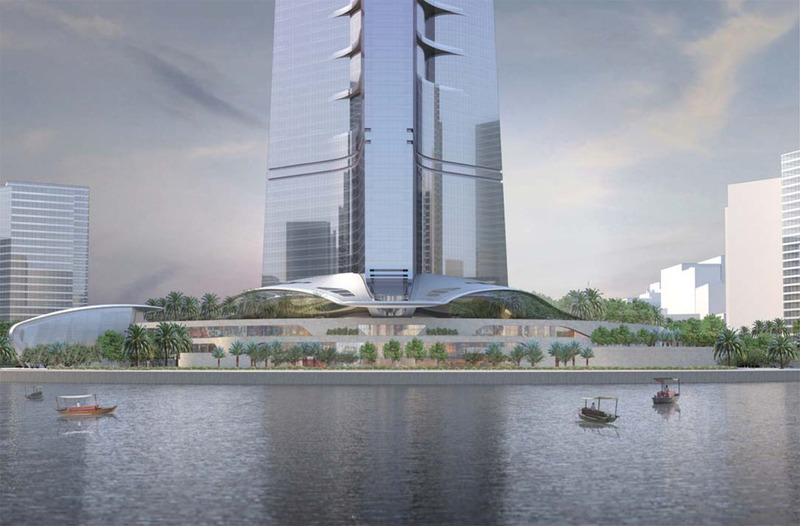 The entire development has been budgeted at US$20 billion, with the Kingdom Tower alone costing approximately $1.2 billion to construct and covering an area of 5.7 million square feet (530,000 m2).